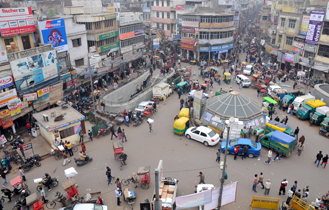 The city of Delhi is the third oldest city of India after Varanasi and Ujjain. The history of Delhi goesas far back astheMahabharata period,i.e. around 3000 BC. It has seen the rise and fall of manyEmpires and Dynasties. The existence of these bygone Empires and Dynastiesis evidenced by the different monuments that stand even today. There are three World Heritage Sites in Delhi recognized by the UNESCO: The Humayun’s Tomb, The Qutub Minar and The Red Fort. 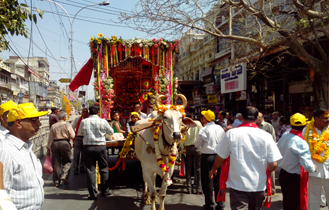 Journeys Through Delhi is the first travel agency dedicated to the city of Delhi. We offer different customized tour experiences to people who want to explore beyond the usual tourist circuits. We suggest and then design tours keeping in mind the interest of the guests. All the tours are customized. 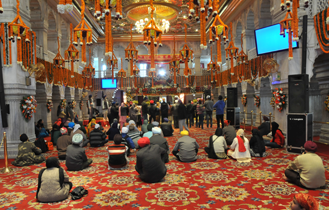 These tours will give you an insight into the history and culture of Delhi through a combination of the tours we offer keeping in mind your valuable time. Please go through the section of different Tours and Special Interest Tours we offer. Our team consists of people who are passionate about Delhi and have been exploring its history, its culture in its different forms. We also offer different Tours in Agra and Jaipur also. stones of New Delhi were laid down in 1911 by the British. 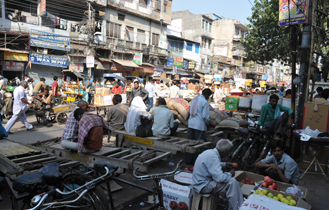 After India’s independence in 1947, Delhi became its capital. 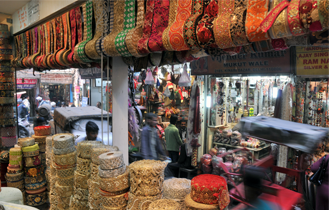 Delhi is much more than just the usual Tourist place and it’s monuments, it has a culture and character of its own. It is a city where the past and present exist seamlessly. Journeys through Delhi has been established by Vikram Kalra. An artist and a photographer, Vikram was born and brought up in Delhi. A creative professional, Vikram has been exploring the city for more than 25 years now. 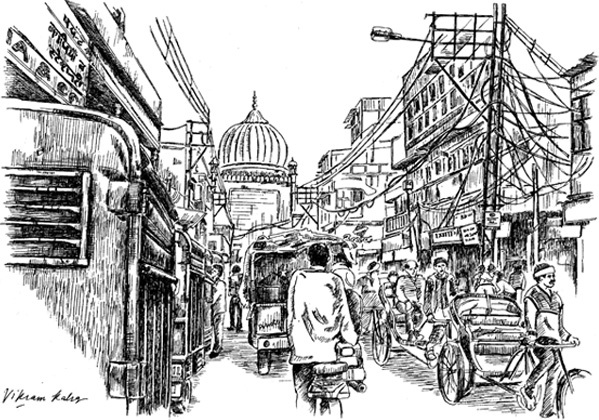 He has been documenting the history of Delhi through his sketches and photographs. His interest lies in historical buildings and he captures them in both the mediums. 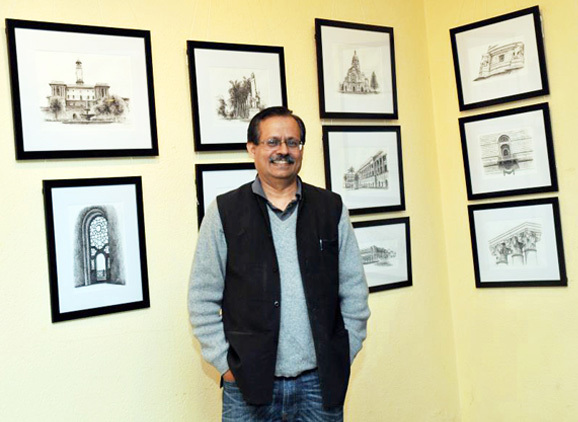 He has done a complete series of about 60 drawings on the Old City of Delhi- "Shahajahanabad –A journey through Old Delhi". The series contains pen and ink drawings of various buildings/monuments of old Delhi from the Pre-Shahjahan period to the British period. He has also done a series of photo-paintings, "Delhi-A journey though Night". He has explored various aspects of the city at Night in photography and digital mediums. These works were exhibited in Delhi in 2009. His last exhibition, "From Red Fort to Raisina Hill" was held in 2011 in Delhi. He had explored the history of the city from the times of emperor Shahjahan who ruled the city in the 17th century till the making of New Delhi in 1911 by the British. He has also been drawing sketches of various colonial buildings for the Indian Army. He has authored three books- Patiala, Amritsar, Kapurthala, and done sketches of New Delhi for the book, Sentinels of Raisina Hill.